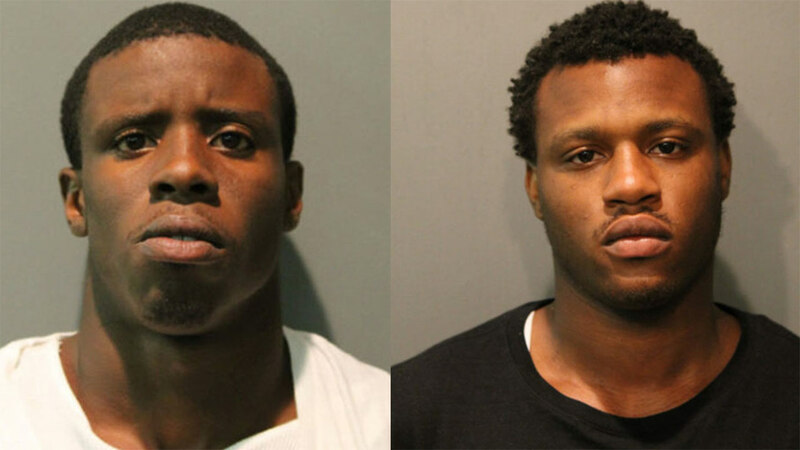 CHICAGO -- Two brothers were charged in connection to the murder of Nykea Aldridge, a mother of four and cousin of Chicago Bulls star Dwyane Wade, police said. Derren Sorells, 22, and Darwin Sorells, 26, were both charged on Sunday, police said. Both are documented gang members and on parole for previous gun charges. Chicago Police Superintendent Eddie Johnson held a press conference on Sunday to discuss the arrests made by the Chicago Police Department. "I hope the arrest can bring some small amount of closure to their pain," said Johnson. Johnson said the Sorells brothers are repeat offenders and two of about 1,400 individuals who drive the gun violence in the city of Chicago. "I'm frustrated, you should be frustrated, all Chicagoans should be frustrated," Johnson said. Aldridge, 32, was pushing a stroller when she was hit by a stray bullet Friday afternoon in Chicago's Parkway Gardens neighborhood. Investigators said Aldridge was an innocent bystander and not the intended target. Wade was not in Chicago on Friday, but joined an ESPN roundtable on Thursday about violence in Chicago. He tweeted about his cousin's death Friday night. Wade tweeted again on Saturday, saying, "RIP Nykea Aldridge... #EnoughIsEnough." Police said Aldridge had just left the Dulles School of Excellence around 3:30 p.m. in the 6300-block of South Calumet when two men approached another man in the vicinity and opened fire. Aldridge -- who was walking home after enrolling her children in school -- was struck in the head and arm and taken to Stroger Hospital, where she was pronounced dead.